Select English attracts students from all over the world thanks to our quality ELT English courses and the warm, friendly atmosphere we provide for learning. Our privately run school - Select English London is part of the world renowned Select English Group. We guarantee you will not only improve your English at our specially tailored lessons but also make friends. Our teachers are carefully chosen for their professionalism and humour to make your English learning experience as enjoyable and rewarding as possible. Select English London is located in Crystal Palace, a vibrant part of south east London that boasts cafes, restaurants, pubs and parks all within easy reach of the school. It’s the perfect study environment for those seeking peaceful surrounds, while also providing access to the wider delights of the city of London. Those wishing to venture into London can utilise the nearby train services and make the most of the art, fashion, shopping, museums, parks and famous landmarks in their time off from classes. Study load Tuition available each week is 15 or 25 hours. All students are given a level test on their first Monday and will be placed into a class at the appropriate level. We offer six levels from A2 – C2 (elementary – advanced plus). Please note that we do not offer courses for beginners (A1). We can offer one-to-one tuition to beginners until they reach the right level to join our elementary course. All levels have an on-going eight-week syllabus with an attainment test at the end, after which students then move up a level, if they have passed the test. 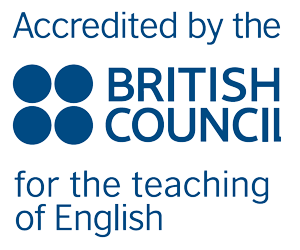 Our teaching method is the communicative approach which means that the emphasis is on students practising English in different social contexts through different teaching techniques. For example students regularly work in pairs or engage in role-play to practise what has been covered in the lessons. Classroom material and activities are often authentic and reflect real-life situations and demands. Skills are integrated from the beginning; any given activity might involve reading, speaking, listening and perhaps also writing. 3 of our classrooms now benefit from Wi-Fi connected interactive whiteboards enabling the teacher to bring the language to life and give students an enhanced learning experience. All learning material is provided. Teachers usually work with a variety of course books and other teaching material such as newspapers, DVDs and songs, etc. Teachers also use the internet and some lessons will take place in one of the rooms set up with an interactive whiteboard or laptop computer. All students that have attended at least 80 per cent of lessons are given a certificate at the end of their course. We can also provide course/progress reports on request. Select English also provides carefully selected homestays in the Crystal Palace area. Not only are many walking distance to the school but they also give you the experience of living with a local family so you can further your use of English. We frequently receive glowing recommendations about our homestays. Prices: Single room, part board from £150/week. Twin room, part board from £140/week. To further your enjoyment at Select English London we have an array of year-round social activities. These include weekly sporting or cultural teacher-led activities like ice skating, beach volleyball or theatre visits. In summer there are fortnightly barbecues and on weekends we organise full day excursions to locations such as Oxford, Stonehenge or Bath. You can also travel further afield on our three day tours to Amsterdam, Paris and Scotland. Those taking the 15-hour general English course can also sign up for our summer leisure program in which afternoon sessions are spent exploring the sights and sounds of London. Copyright © 2015 Study International offical respresentative Select English.